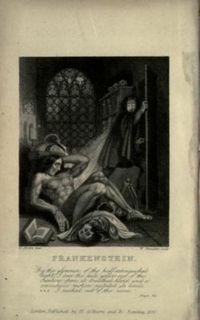 Tomorrow the kids will walk into class with pristine copies of Mary Shelley's Frankenstein. Instead of being 'English students' dutifully following my syllabus and daily plan as is so tempting from the teacher's side of the desk, each of my 4 classes will become real-time archeologists, detectives, and futurists in an effort to co-develop a strategic plan for mastering this literary masterpiece. The standards will be blatantly put forward: become an expert. By any means necessary. I'll present them with the pros/cons to all of their decisions (assigning nightly reading, what types of assessments will give them a reasoned 'final grade', etc.). I'll present them with a 'menu' of elements they must accomplish (solo and in rotating small groups) before the project comes to an end and the semester exam is handed out. I'll offer myself as a 'free' consultant for a specific # of days that they can 'hire' when they feel that they have exhausted their own instincts/research. And I'll present them with a series of sink-or-swim options to allow those who are invested in learning to succeed and those who want to tread water to avoid absolute drowning along the way, all the while being a sheep dog with an eye on those that near a current they can't escape on their own. They'll come out knowing far more than they would have if I had assigned the 'perfect' syllabus. The first-hand Mary Shelley "creation" metaphor will not be missed either, once they reflect back on the project a few weeks from now. Forget talking about it. Let's live it and see if a bit of intellectual empathy comes our collective way. And I can't be more excited to bend the boundaries of the teacher/student role along the way. P.S. Not even sure if I need a single computer to pull this off. In fact, I'm just going back to a tried-n-true playbook from long before I even cared about email as a teacher, let alone all the digital horizon lines (that also geek me out). I can't wait to hear more about the progress of this undertaking. Can't you just make a podcast of some of the initial discussion for us all to eavesdrop? Reading about these sorts of 'lesson plans' gets me excited to be in my classroom everyday. Thanks for that.